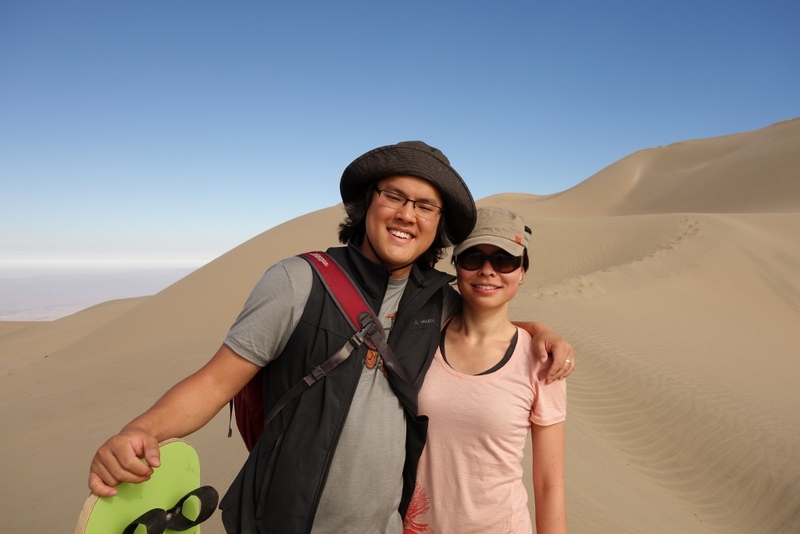 We were told that visiting Nazca without seeing the Nazca Lines is like visiting Cuzco and not seeing Machu Picchu. Or for a more Canadian reference, it’s like visiting Toronto and not seeing the CN Tower (But that’s actually very difficult to do since the CN Tower is pretty impossible to miss if you visit Toronto, so that’s probably not a great analogy). 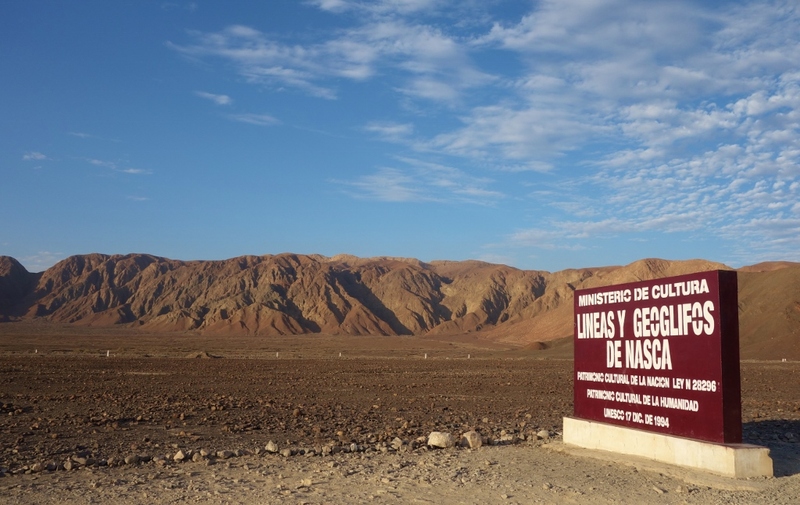 Anyways, Jason and I have indeed managed to visit Nazca and not see the Nazca Lines. Which we did not regret at all. 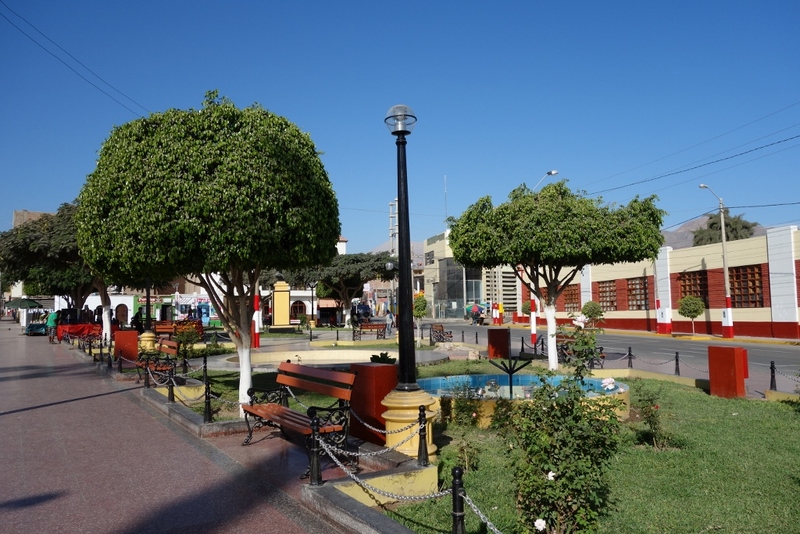 Nazca is a small, sun-baked town in Peru’s southern coastal region. 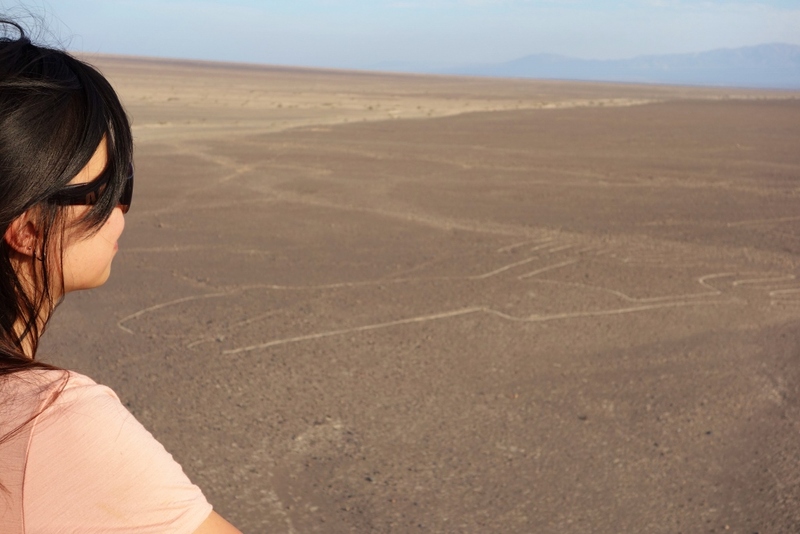 Its star attraction is the Nazca Lines, a series of mysterious lines forming various animal and geometric shapes (like the monkey, spider, or hummingbird) – some as big as a football field. You can only really see them clearly from the air, and the town is full of airline companies waiting to take you on a 40-minute flight over the lines. 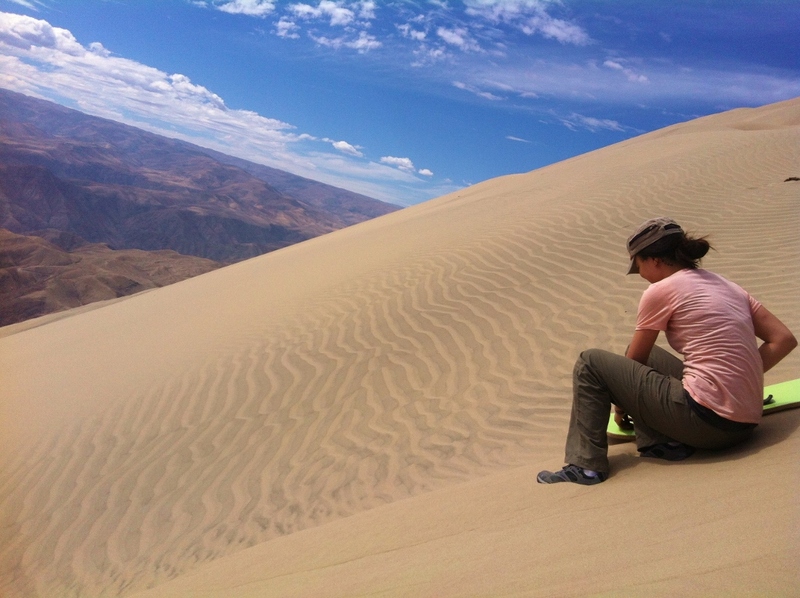 During the high season, the cost of a flight over the Nazca Lines is about CDN $90/pp. 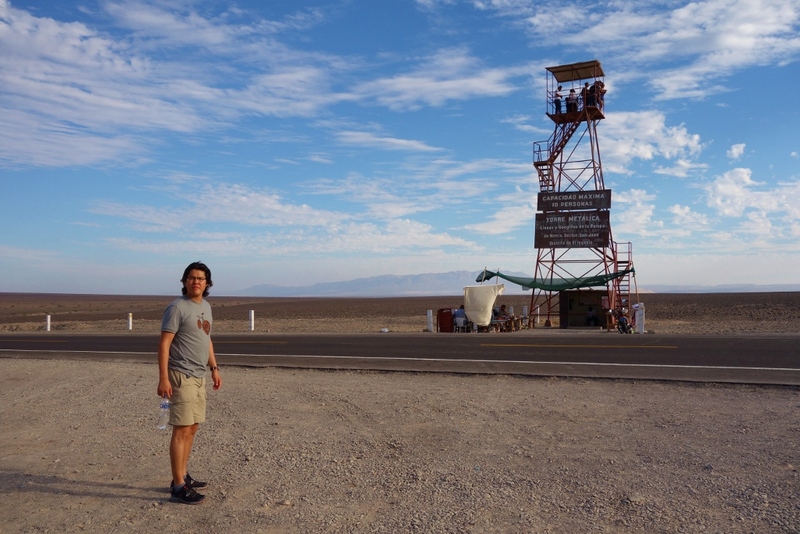 While Jason and I both share the belief that, when traveling, you shouldn’t let costs prevent you from doing something you really want to experience – after weighing the benefits vs. costs of seeing the lines from the air, we both came to the conclusion that we were totally okay with skipping the Nazca Lines flight. We did some additional research that confirmed our suspicion that, although the sight of the lines during optimal conditions are pretty amazing, there were a lot of discouraging stories of crowded planes, poor context-setting by the guides (if any), crazy motion sickness on the tiny aircrafts, and just a general let-down after seeing the lines. 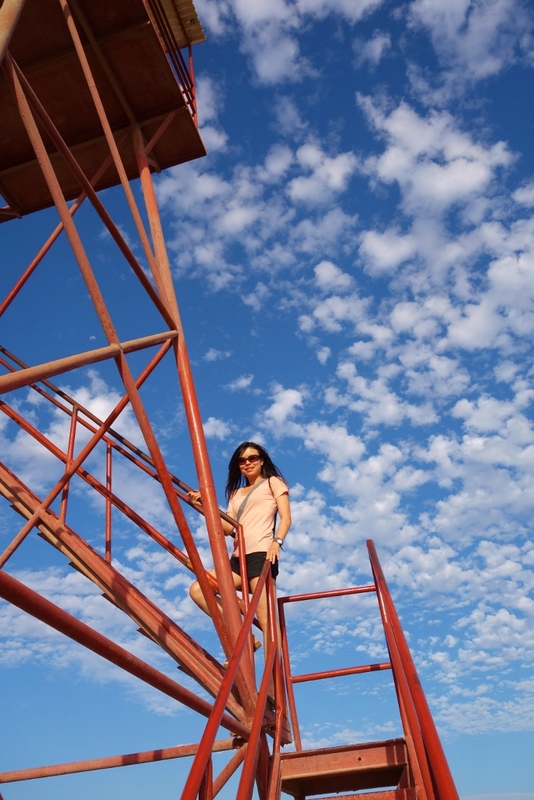 We found out that you can catch a (slightly askew) glimpse of three of the Nazca line figures from the Mirador viewing tower just 20 minutes out of town, so we caught a local bus and paid 2 soles (CDN $0.70) to climb to the top of the tower. Our view of the Nazca Lines from the top of the Mirador Viewing Tower. The view of the lines wasn’t that great but we could definitely appreciate the enormity of the shapes. 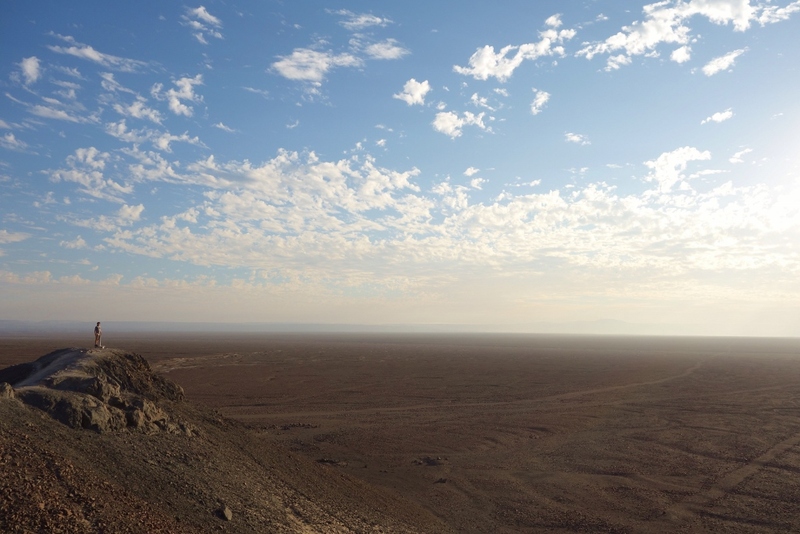 The landscape of the desert itself was worth the trip to the Mirador viewing tower. 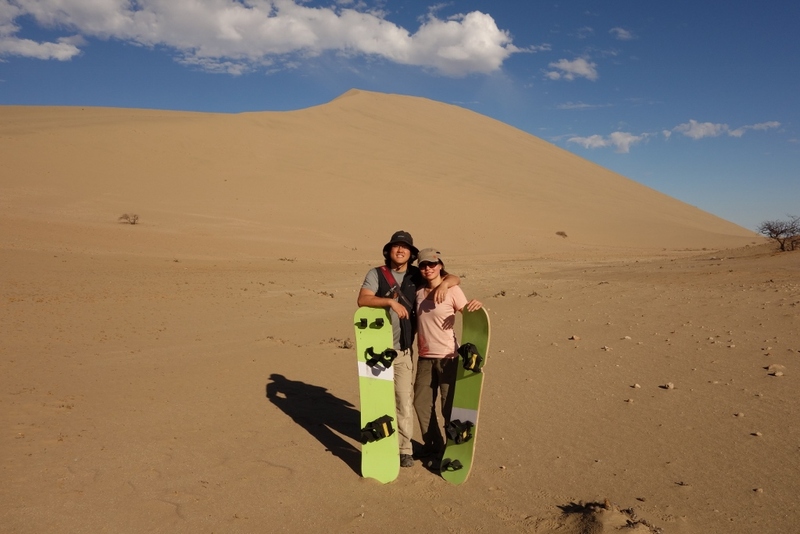 The next day, we used the money we saved on something we both really wanted to try: sandboarding on Cerro Blanco – the world’s largest sand dune! Standing at an impressive 2078m, it’s just roughly 100m shy of Whistler Mountain in British Colombia, Canada. 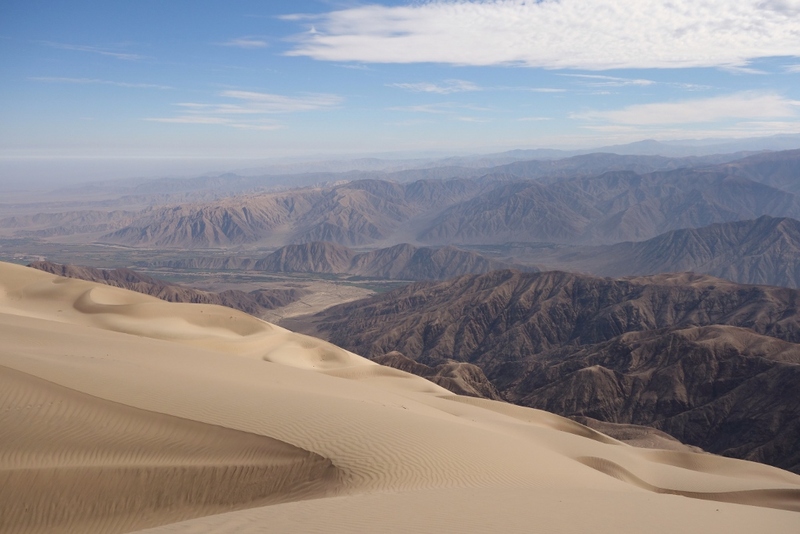 Our trip started at the ungodly hour of 5:30am, where we were driven to the edge of the mountains that surround the sand dune. 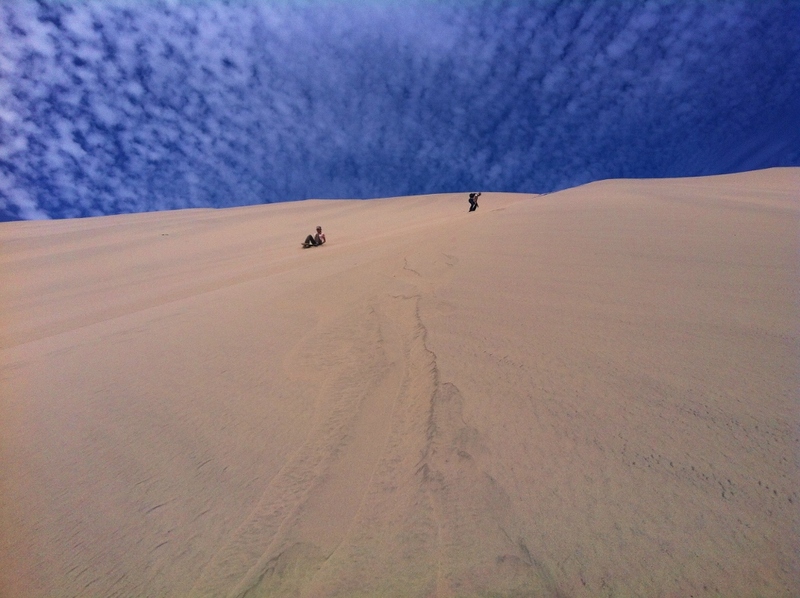 Inaccessible by sand buggies, we would have to hike at least 3 hours to get to the top of the behemoth. 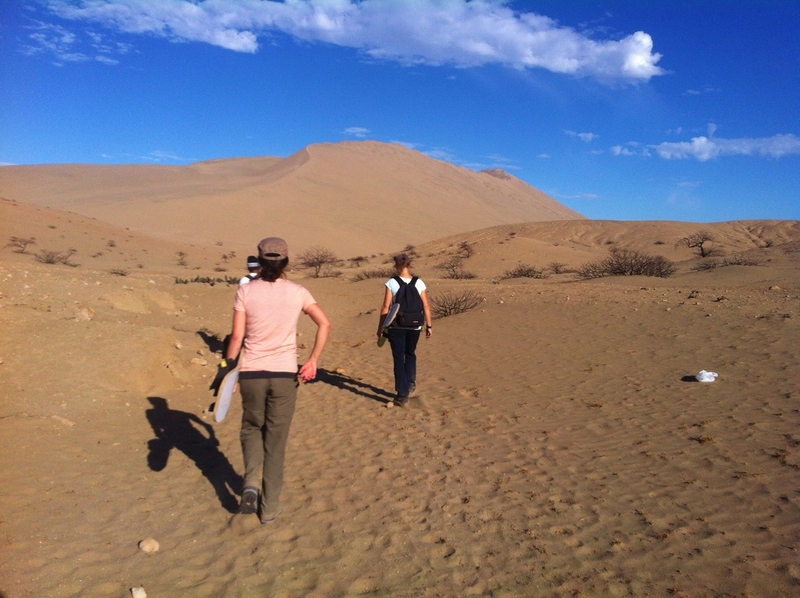 On our trek to Cerro Blanco. 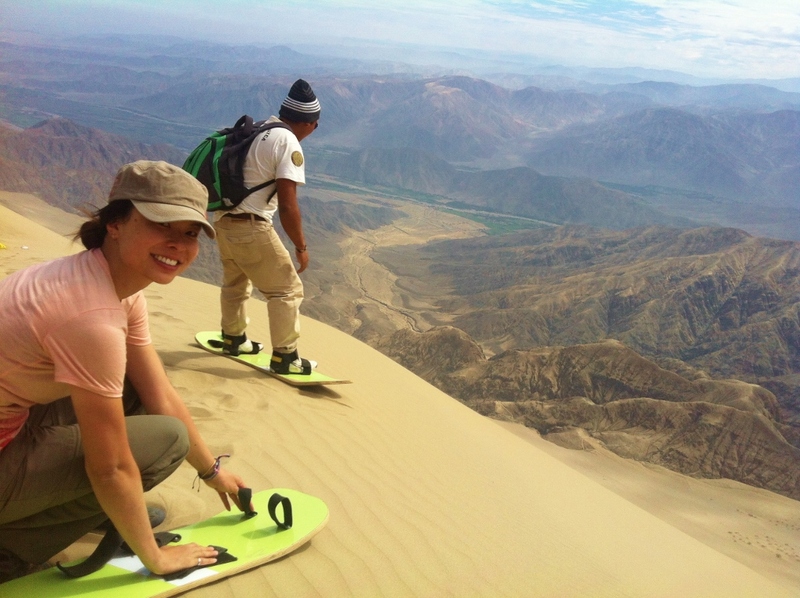 You can see the Cerro Blanco, the highest sand dune in the world, far off in the background. 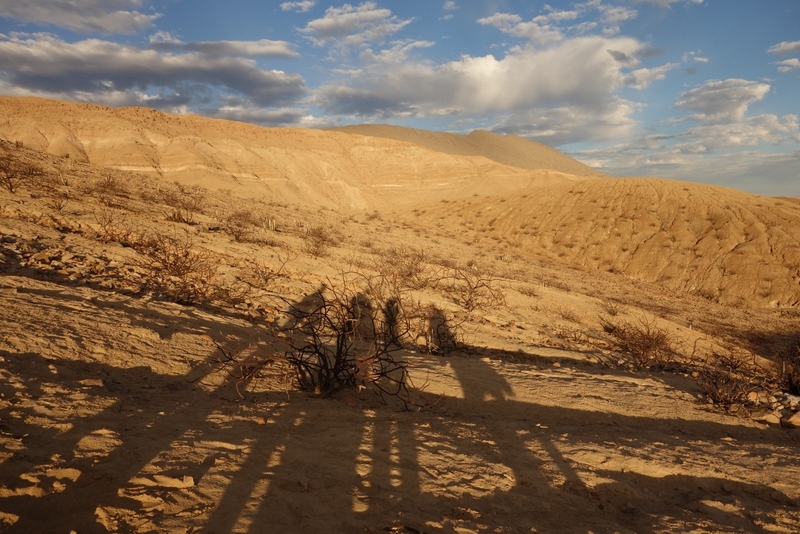 Combine searing desert heat with the high elevation, it’s quite a dizzying hike up to the top. 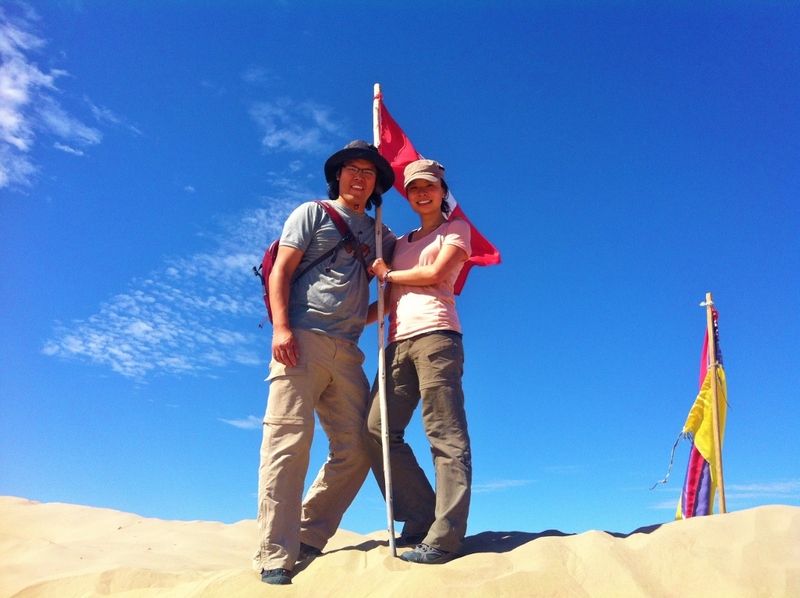 It takes about 1.5 hours just to get to the base of the sand dune and as you look up to the top of monster sand dune, it takes every effort just to not turn around and go home. Cerro Blanco looks like a small pile of sand behind us. To accurately picture its size, imagine a sand-covered version of Whistler Mountain in the background. But as we neared the top and starting taking in the eye-popping views, we were glad to have soldiered on. 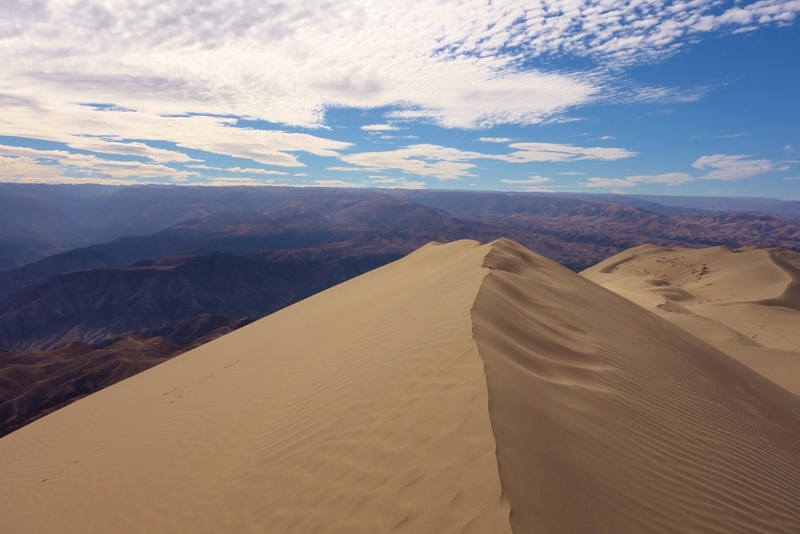 The smooth sand dunes against the dry Andean mountain ranges made for some surreal landscapes. 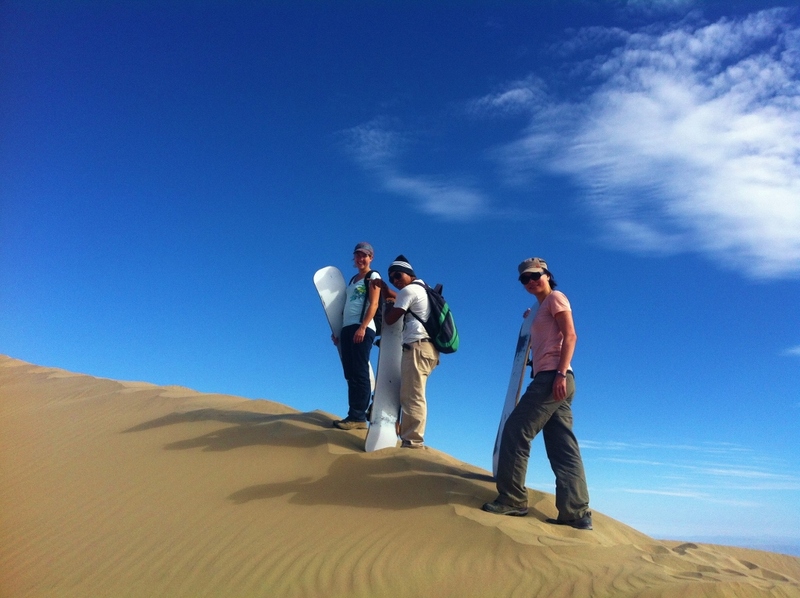 On our way to the top, we practiced on some smaller dunes. When we finally reached the top, we strapped in for the crazy vertical drop. Our guide quickly made the sign of the cross with his hands before dropping off (what seemed like) the edge of the earth. Smiling to hide the intense fear! The view up from halfway down Cerro Blanco. It was so steep!! 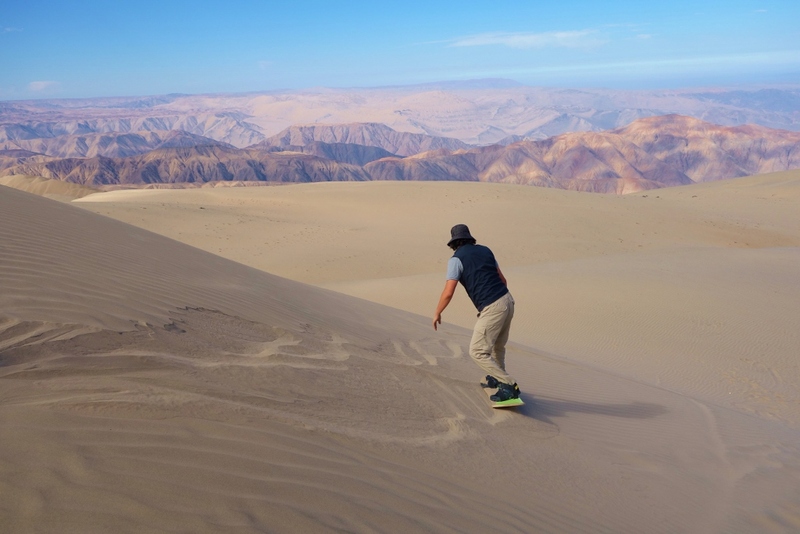 Sandboarding is not at all similar to snowboarding (with the exception of strapping a wooden plank to your feet). The wooden board sticks to sand like ‘a fat kid on cake’. Our guide gave us a piece of candle to apply wax to the bottom of the board. Every couple of minutes, we would come to a standstill – requiring us to unstrap our boards and re-wax the board. The clunky board is also pretty difficult to control. We also had to constantly remind ourselves to keep our mouth shut, lest we wanted mouthful of sands when we fell. 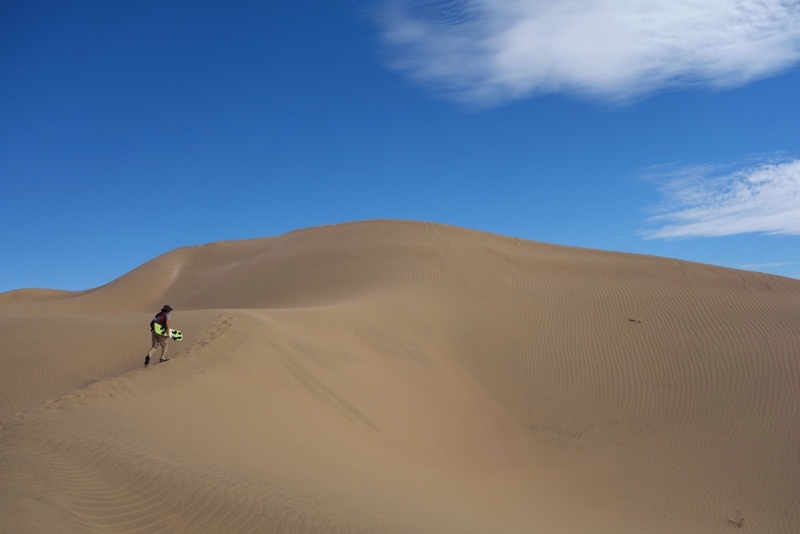 It’s pretty difficult to remember to keep your mouth shut though, when you’re screaming your lungs out as your hurtle down the monster sand dune. Regardless, it was a really fun (albeit grueling) experience. 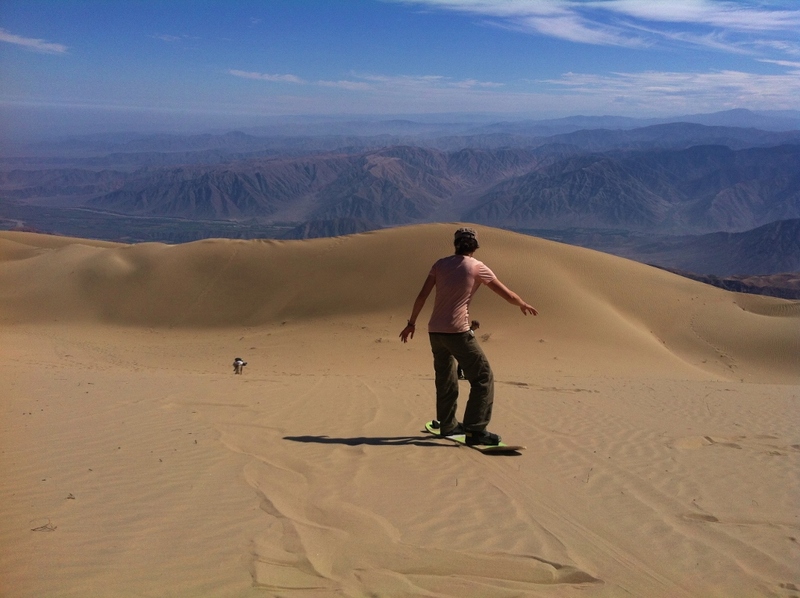 In total, we spent 3 hours trekking up, 2 hours sandboarding, and another hour trekking out of the desert to where a car picked us up and dropped us back at our hostel. 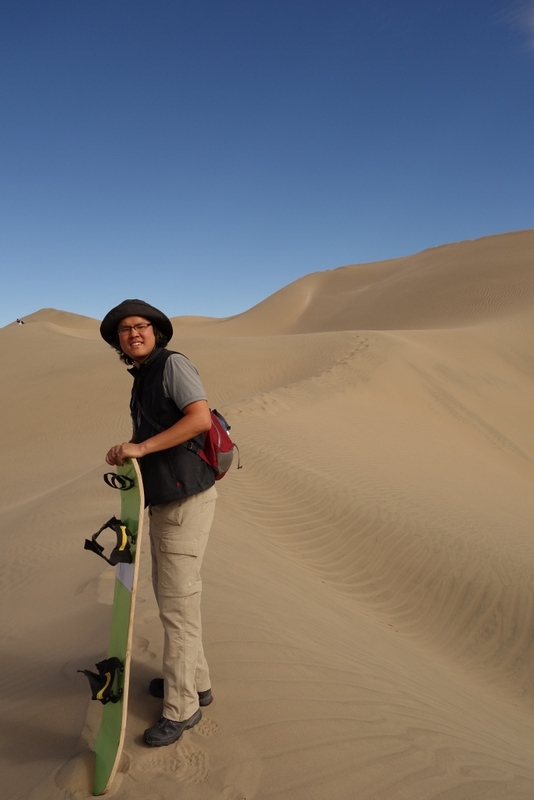 I’m glad we tried sandboarding, for our first and likely last time. At least until they install ski lifts that take you to the top. 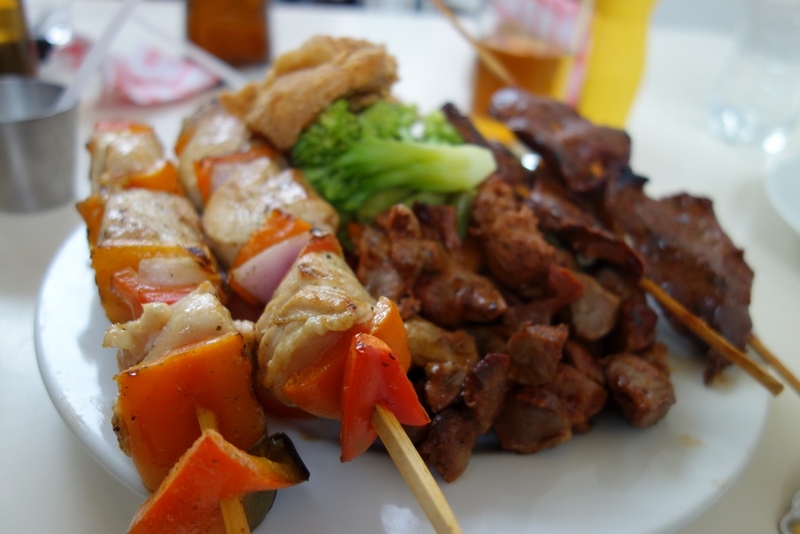 To mend out aching muscles, we decided to gorge ourselves on protein and ordered a monster platter of meat and a couple litres of beer when we got back in town. Ok fine, the litres of beer had nothing to with mending our muscles. It was more for rinsing the sand out of our mouths.